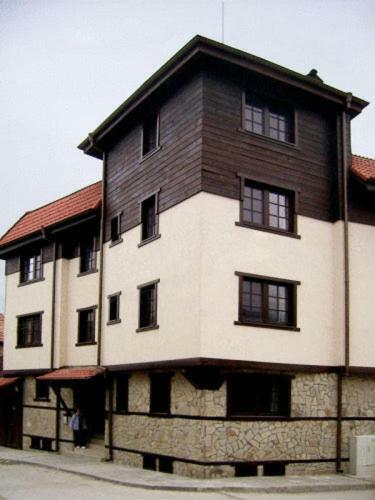 Lock in a great price for Vip House Bansko – rated 8.5 by recent guests! The house is very nice decorated, with a nice view of the mountains. The rooms are clean and comfortable. The people there are very nice, doing their best to please us. The food is excelent. Good breakfast, very comfortable, clean and warm room, hot water all day long, lovely mountain view from the window (second floor apartment), quite neighborhood and still very close to the center. Beds were a little bit small for tall persons but the sheets were really clean and smell very good. A friendly and smiley old lady welcome us, show us the room and cook some extra home made delicacies for breakfast (all these in Bulgarian language only). We loved her! The sheets were very clean and smelled amazing. The apartment was big and very nicely decorated (except the TV). Very warm inside and hot water all the time. Quiet location. You could park the car on the street right in from of the house. The donuts we had for breakfast were tasty. Cunosteam locatia dintr-o sedere anterioara si am revenit cu placere la Vip House Bansko pentru vacanta de Craciun . Semineul din livingul apartamentului creeaza cu o atmosfera calda si familiala potrivita pentru aceasta perioada a sarbatorilor de iarna. Всичко беше чудесно! Персоналът беше усмихнат и отзивчив, интериорът е смес от удобство, традиция и стил, закуската беше превъзходна. Ще повторим при първа възможност и в зимни условия. До скоро! La stanza era comoda e la posizione ottimale. La proprietaria, anche se conosciuta solo telefonicamente, si è mostrata molto premurosa e ci ha fornito informazioni e contatti utili per l'organizzazione delle nostre escursioni. 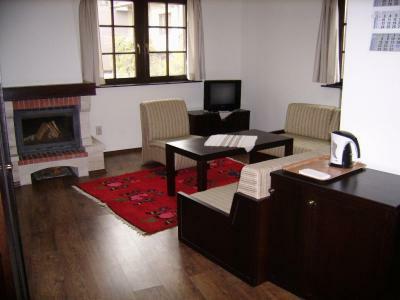 Vip House Bansko This rating is a reflection of how the property compares to the industry standard when it comes to price, facilities and services available. It's based on a self-evaluation by the property. Use this rating to help choose your stay! 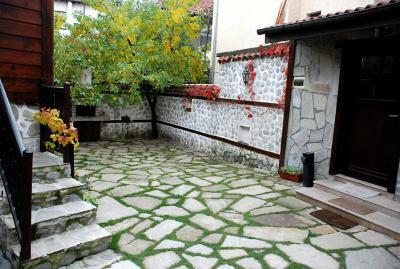 Built in traditional Bansko style, the Vip Bansko House is within a 15-minute walk of the city's center and cable car. It offers tasteful rooms, local cuisine and a spa area. 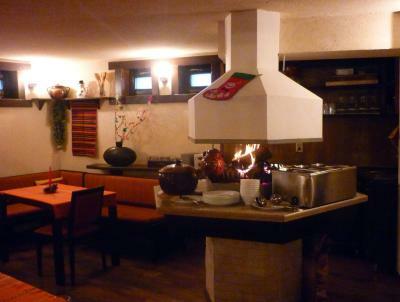 In the traditional Mehana restaurant you can enjoy home-made local delicacies. Folklore music performances characteristic of the Pirin Mountains region can be organized on request. The Vip House's spa area, which offers a sauna and a hot tub at a surcharge, is great for relaxing after a day out in the mountains. 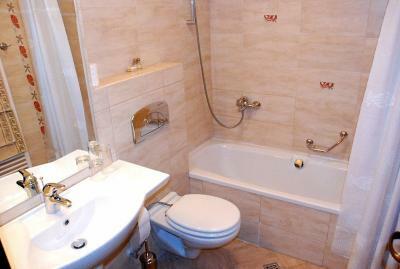 All rooms and apartments at the Hotel Vip Bansko House have a private bathroom with a steam shower. Free Wi-Fi is available in the entire building. Your hosts are happy to help you in organizing guided tours, renting or buying ski equipment or anything else you might need. 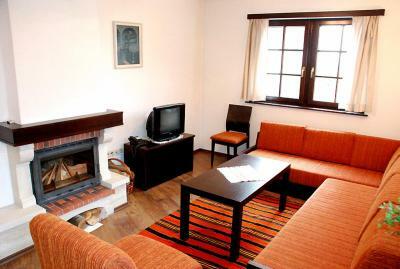 When would you like to stay at Vip House Bansko? Please note that only one extra bed for a child under 12 years is available in this room. 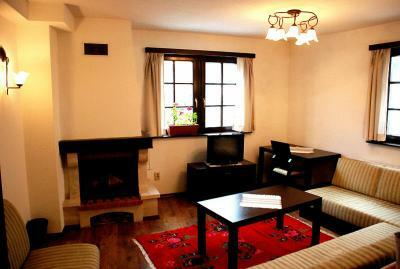 Large apartment with a living room featuring a fireplace. 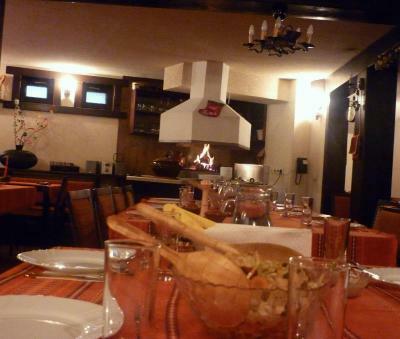 House Rules Vip House Bansko takes special requests – add in the next step! There was no one in the reception during the day. They gave us a telephone number in case we needed something. The polite old lady who was there she didn't speak English and the communication was a little bit difficult especially in our arrival. Also towel bath mat was necessary and missing from the bathroom. Location. Not on walking distance of the ski lift. 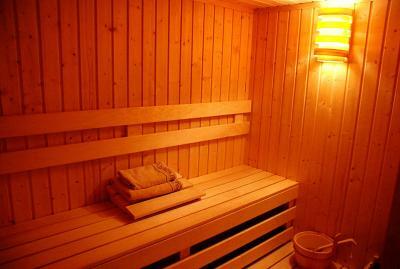 You could use the Sauna and the Jacuzzi for additional costs (Sauna 10 lv/ person Jacuzzi 20 lv/person, Sauna +Jacuzzi - 28 lv/person) so, as a couple, if you want to use them add 56lv to the room rate. We asked the prices for these services when booking (1 month before) and we got the answer by email the day we arrived. If you want to use the Jacuzzi you have to announce 2 hours in advance, and for the sauna you have to have a 1 hour lead time. 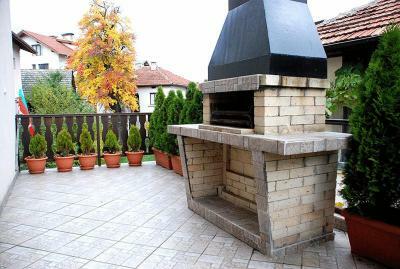 To use the fireplace in the room you have to pay extra (10 Leva) and that is not all, we managed to start the fire, but it seems that the ventilation had some problems, because you could barely breath in the room because of the smoke. The lady who runs the place is the only one there and she doesn't speak a word of English, although she seems nice. She calls the manager every time there is a problem and you have to speak with someone. Most of the time there is no one in the reception and no one in person to help you, if needed, you have to call for everything. The double room had two beds attached to each other instead of a double bed. The bathroom could need a towel bath mat. The breakfast could definitely be improved. The location is a 15 to 20 minutes walk from Gondola. The cleaning lady who runs the place is the only one there and she doesn't speak english (not a word) although she is very easygoing and tries to help. The woods for the fireplace have extra charge. The breakfast is poor. There is no one in the reception and no one in person to help you if needed though the cleening lady calls the manager everytime there is a problem and you have to speak with someone. 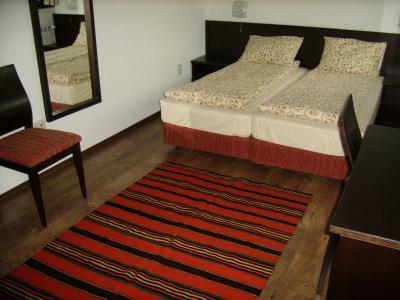 Lastly there was no double bed in the room just 2 single beds stucked together and they were very easily drawn apart. 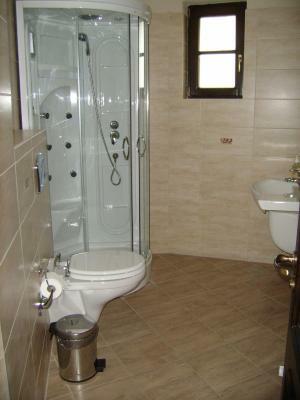 Large room and nice and clean bathroom.